Barrel-aged sour beers are all the rage these days. Of course, sour beers have been around for centuries, long been brewed using traditional European techniques. But today, craft breweries are turning to scientific instruments to help them brew barrel-aged sours. How have these new analytics changed the way these beers are brewed? Is the art of brewing being replaced with technical data? To explore how science is changing the way barrel-aged sours are brewed, I spoke with Joe Wells, who runs Hangar 24 Brewing’s Quality Assurance and Quality Control Laboratory. Joe Wells attended Evergreen College where he used both a gas chromatograph and mass spectrometer to analyze the chemical composition of different beers. Evergreen College allows students to develop their own major. While many claim to have majored in “Beer” during their college days, Joe Wells is one the few who’s actually done so. After graduating with his self-designed Brewing Science major and a brief stint at a pharmaceutical firm, he was hired at Hangar 24 to run the brewery’s laboratory. 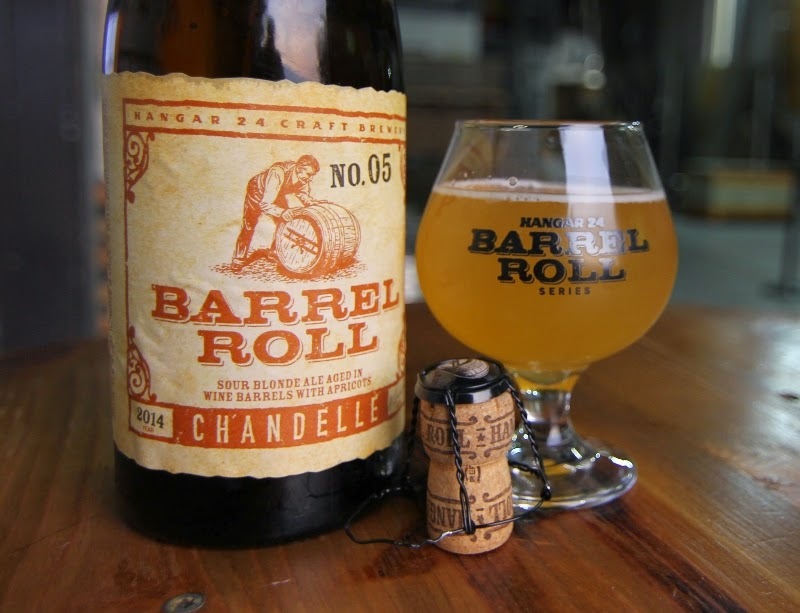 One of his latest projects involves Chandelle, a barrel-aged sour Hangar 24 just released. “Sour beer is what made me want to work in a brewery,” says Wells. “Creating a balanced and drinkable sour beer is equal parts art and science.” Chandelle starts as blond ale brewed with malted and unmalted wheat, infused with 850 pounds of Golden Sweet apricots and poured into freshly used Sauvignon Blanc wine barrels. The base beer is designed to have a large amount of very specific fermentable sugars to be consumed by an assortment of wild yeasts and bacteria added into the barrel. These organisms living inside the barrel slowly create their own signature flavor, producing acidity, funk, fruitiness and tart, sour flavors that give these beers their wonderfully unique and complex flavors. Joe Wells also discussed with me the current cutting edge of brewing science, where breweries are delving deeper to analyze the biota within the barrel through recent developments in Polymerase Chain Reaction (PCR) technologies. PCR equipment is perhaps best known for being used in crime labs to amplify a few strands of DNA to identify suspects. As the technology has matured, PCR instrumentation which once cost a few hundred thousands dollars is now available for a tenth of that cost, putting it within the price range of the largest craft breweries. In the hands of a brewer, PCR determines what yeasts are active inside the barrel or what bacteria are present. 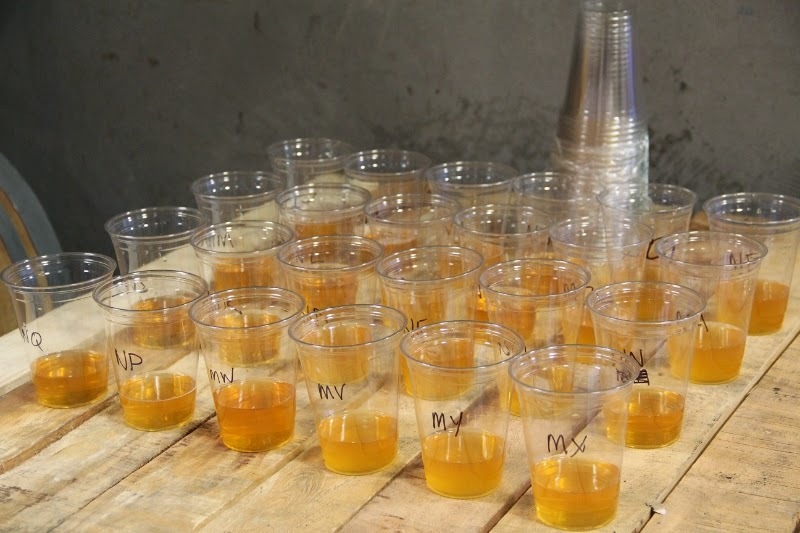 The processes that create sour ales, mysterious unseen forces to brewers centuries ago are now captured in digital readouts giving further insight into what the final product might taste like. Large craft breweries using PCR to track their brewing process include New Belgium, Boulevard Brewing, and Allagash. Given the substantial investment in Goose Island’s barrel-aging program since being acquired by Anheuser-Busch, it’s a pretty safe bet Goose Island uses PCR as well. Given all the technological developments to analyze beer aging away in the barrel, will the day come when brewers simply rely on a bunch of sensors to determine when the beer is ready? “I sure hope not,” laughed Wells when I asked him that. “That would remove all the fun from this.